Thank you for sending such hard working, responsible and meticulous men to do the painting in our house. The crew worked hard and well as a team to complete all of the assigned tasks. Eric's presence was also helpful in making sure we had the right colors, checking on progress and communicating between all involved. We especially appreciated their prompt arrivals, attention to details, clean-up, and consideration of our needs, which included putting up with our big, friendly and nosy lab. Written by Brook Reilly. December 29, 2014. Growing up, everybody always wonders what the future will look like. So far flying cars and silver jumpsuits haven’t really come to fruition, but the idea of a “smart home” isn’t as remote as you might think. Several companies have been developing new technologies that rely on the concept of a smart home being more of an upgrade than an overhaul. Instead of building new, fancy, expensive, tech-filled homes, these companies are trying to bring the “smart home” to every home, using installable devices. This is a much more realistic vision, because it makes use of the structures we already have. Two of these devices have been getting a lot of publicity recently. The Leeo Smart Alert nightlight is a beautiful device which acts as a high tech nightlight and smoke/carbon monoxide alarm monitoring system all in one. If the Leeo detects your alarms going off, it notifies the people on your contact list immediately, so even when you’re away from home you can still keep tabs on what’s going on. Then there’s also the Nest Learning Thermostat, which learns your schedule and preferences so it can program itself to keep your house at the perfect temperature, even when you’re away. It can also be controlled from your phone, and reduces your energy costs. The great news is that Reilly Properties has been keeping an eye on all the latest technological developments, and we’re proud to announce that our newly remodeled “tech savvy” home will be available for rent on January 1st, 2015. The Glynn Road Home is a gorgeous colonial home located in the historic and family friendly Forest Hill neighborhood of Cleveland Heights. Recently remodeled, this four-bedroom, two-and-a-half-bathroom home for rent in Cleveland Heights is the ideal place for you and your family to settle down in the Cleveland area. The house is conveniently located to all the attractions of University Circle, including the Cleveland Clinic, Case Western Reserve University, and the Cleveland Art Museum. Your family will enjoy visiting the Cleveland Orchestra, the Botanical Gardens, and countless restaurants and retail shops within just a few minutes’ drive. The Glynn Road Home is “tech savvy” because you can monitor and control your utilities and security system using your mobile device! And the radiant heat floors will keep your family nice and warm during the frigid Cleveland winter. With a finished attic and basement, hardwood floors throughout, and master bedroom fireplace, this home is a steal at only $1375 per month. For more information on the Glynn Road Home or other Cleveland Heights rental properties, visit Reilly Properties’ webpage. 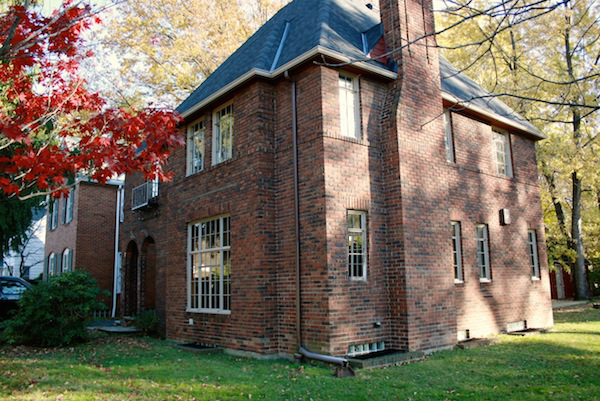 And if you know anyone looking to rent a home in Cleveland, keep this incredible home in mind! Filed under: Forest Hill News & Events, Gadgets & Technology.